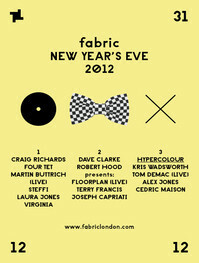 New Year’s Eve is rapidly approaching and London club Fabric brewed something special for those who want the last of 2012 to be scattered with flashes of techno brilliance. In Room Two, a techno battle will roll out of the speakers and onto the dance floor between Dave Clarke and Drumcode artist Joseph Capriati. In anticipation of his NYE gig in Fabric, The White Noise Radio Show host decided to drop a bracing 76 and a half-minute long mix and, according to the Fabric press release, “it's amazing”. 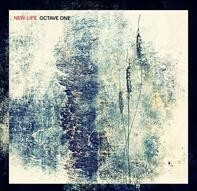 Dave has also been in the studio regularly, remixing Octave One’s ‘New Life’ track. Armed with a pulsating bassline, driving beats and dramatic signature O1 strings, ‘New Life’ carries a message of positivity beautifully sung by Atlanta vocalist, Afrika. Dave’s remix is from Unscubscribe (aka Dave & Mr. Jones), who flip over to the dark side, weaving an intense techno tapestry of menacing synths and slamming beats.